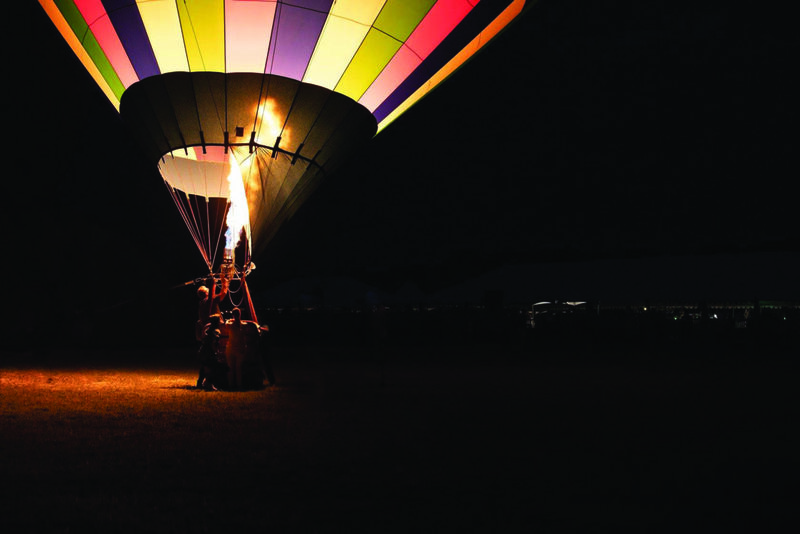 The grounds of the Springfest Park Polo Field in McAllen will be illuminated by many multi-colored hot air balloons on Saturday for the inaugural Hot Air Balloon Festival and Polo Match here. making appearances this year in New York, Connecticut, South Carolina, Tennessee and for the first time, in McAllen. Joe Bachmeier, co-owner of Victory Cup, said that they are excited to bring their festivities to South Texas. “We are visiting Dallas and Austin, and we saw that the Valley has a beautiful park and cool place to host the community event,” Bachmeier said. 7 a.m. for the “morning launch” and again at 4 p.m. for the “evening glow” on the polo field. During the day, guests are invited to take photos with grounded balloons and enjoy live music, take part in wine tasting, and watch a Battle of the Chef’s Tasting Competition. Between hot air balloon launches, polo matches will be taking place, featuring local and out-of-town players. About half a dozen balloons will be available for guests to enjoy tethered rides for $30 per person, in addition to the $45 general admission pass or $125 Golden Mallet VIP pass, which grants access to the Golden Mallet VIP Tent and the tented area during polo matches. Pre-sale tickets are available on the organization’s website, victorycup.org/riogrande. Parking permits are $15. Ticket prices will go up the day of the event. Though Victory Cup has been hosting polo matches across the nation for 15 years, this is the second year the event will include hot air balloons. Bachmeier said that guests should take vantage of the unique opportunity. Around 2,500 people are expected to attend the all-day event. Guests are encouraged to dress classy for polo matches. Several matches are scheduled throughout the day. “This is a family friendly event. It is an opportunity to get dressed up, so show up with your best suit on or favorite floppy hat,” said Bachmeier.